Home > Google News > Google Updates > Google's Major Penguin Update Coming In Weeks. It Will Be Big! Google's Major Penguin Update Coming In Weeks. It Will Be Big! On Friday, Google's head of search spam, Matt Cutts announced on Twitter that the Penguin update we are expecting this year, will be coming in the next few weeks. 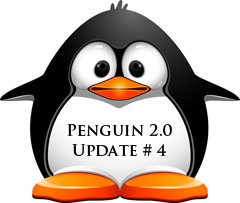 Matt Cutts said, "we do expect to roll out Penguin 2.0 (next generation of Penguin) sometime in the next few weeks." This has sent shockwaves through the webmaster and SEO industry over the weekend. We know the next generation Penguin update is a major revision to the existing one. Matt said the previous ones were minor updates. To take you back, we had an update on May 24, 2012 and October 5, 2012. Matt said on Twitter that those were more minor, he would have named them 1.1 and 1.2 and that Google is naming this new update version 2.0. We are calling it the 4th update to Penguin, but yea, this is expected to be huge. We past the anniversary of the Penguin update and many SEOs and webmasters have yet to recover. Now with the next generation update, many SEOs are hopeful of recovery but terrified that their efforts will end up being futile. Why? Well, even if they did manage to clean up their sites and do everything to warrant a release of the initial Penguin algorithm, with the new algorithm in place, who knows what else they may have triggered. Danny Sullivan has an excellent write up on this Penguin release and the history around it. Trust me, I will be all over this when I see signs in the forums about this update. So stay tuned, brace yourself and trust me - webmasters will survive and grow from this. Forum discussion at Google Webmaster Help, WebmasterWorld and DigitalPoint Forums.